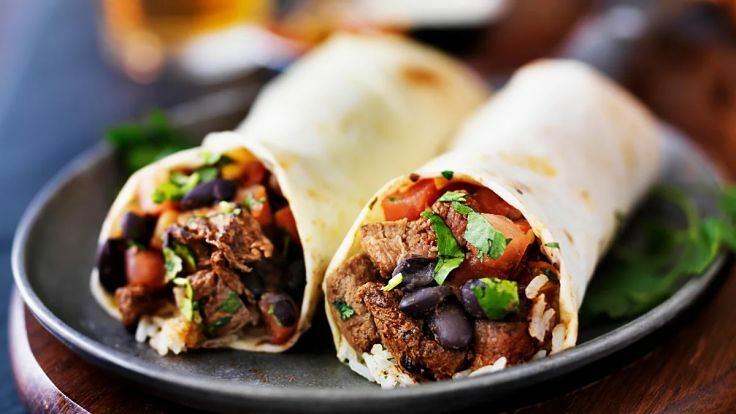 Healthy Fast Food Choices at Restaurants - Purely a Marketing Ploy? 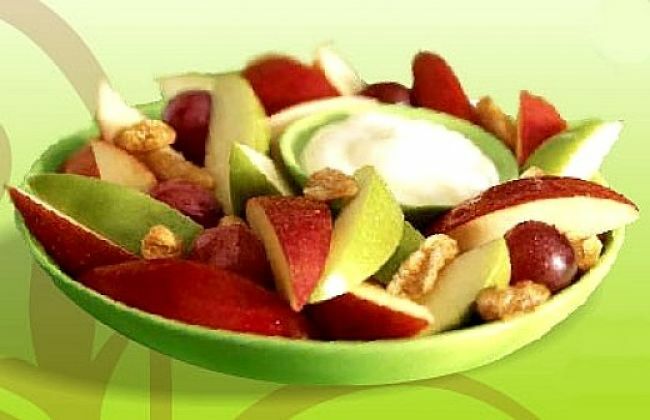 Most fast food outlets in Australia and elsewhere have appeared to embraced healthy food choices. 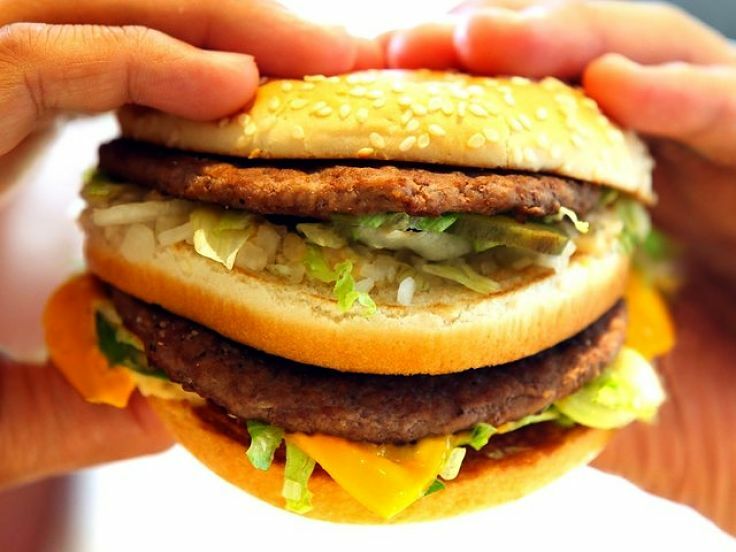 Has this been driven by a concern for customer health, a concern that fast foods have been blamed for the obesity epidemic or is it simply a marketing ploy? The 'proof is in the pudding'. 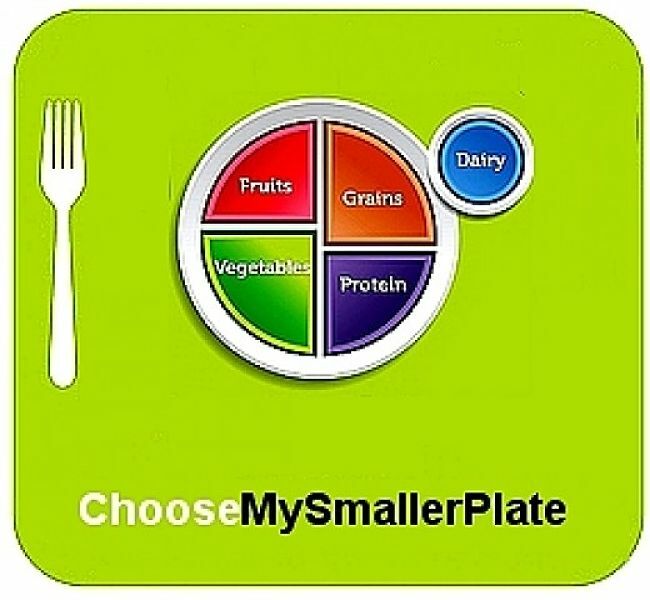 A simple examination of the so-called healthy choices shows that they fall well short of healthy meal standards. 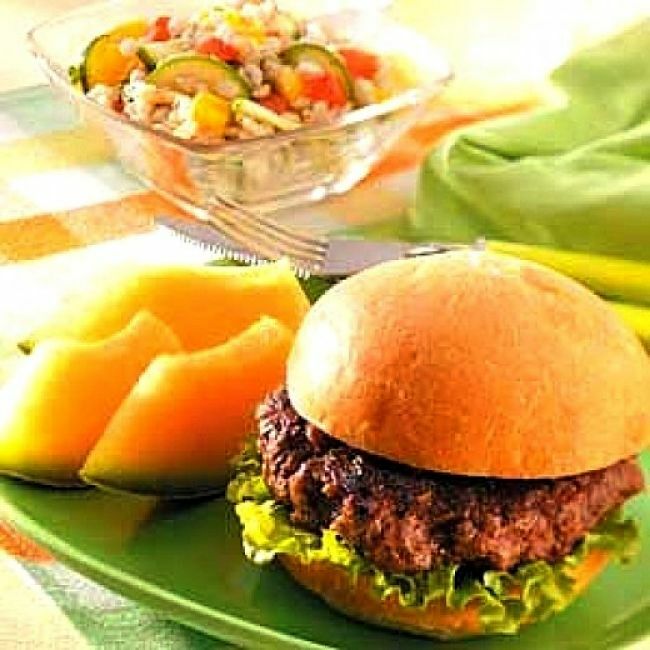 Mostly they involve healthy ingredients, such as organics, or healthy salad items but the core foods remain unhealthy. It appears that 'Healthy' is the new marketing strategy as the chain seek to modernize their menus and get back many of their customers who regard the old menus as boring and unappealing. In some ways the shift to 'healthy' may have been a response to Subway grabbing market share and the trendy female customers and moms keen to eat healthier food. 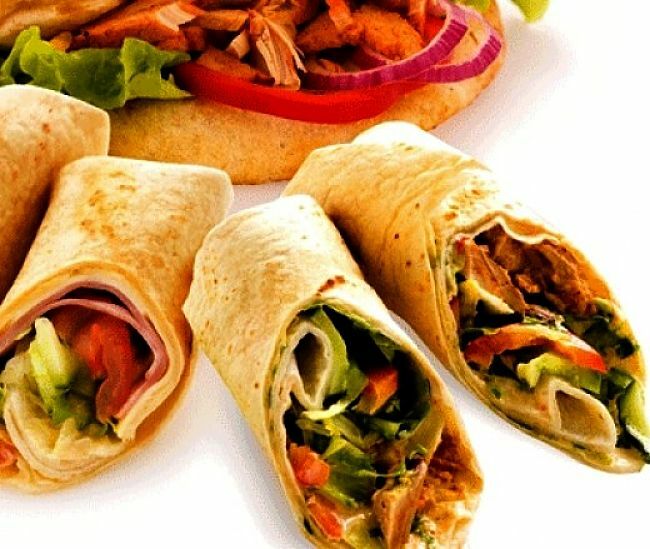 Subway has led the health push in the sector, with lower calorie and healthier choices being offered by McDonald's and Kentucky Fried (and now grilled) Chicken. Health is still one of the top factors driving the Subway's growth with its low fat promotions. In Australia Hungry Jack’s now has broccoli on the menu as well as mix of raw vegetables and it uses organic beef for its new Country Burgers. It has also switched to canola oil for frying to reduce saturated fat, reduced the saturated fat content of its chicken meals by about 15 percent. McDonalds is promoting the idea that they make it easy for customers to enjoy a serve of fresh side serve of vegetables or salad with their meals. The KFC website even suggests eating their products only occasionally - WOW? Choose coleslaw or potato and gravy instead of chips. If you still have chips, ask for a small serving with little or no salt. Swap tomato sauce for the mayonnaise that is usually used on burgers. Drink water or juice instead of soft drink. Choose low sugar or no-sugar soft drinks such as Pepsi Max. Try Original Recipe fillets with less than 7g of fat per average piece (Based on an average 83g Original Recipe fillet piece. Actual fat content varies with weight). The changes are in the right direction but represent a miserly drop in an ocean full of otherwise unhealthy ingredients. 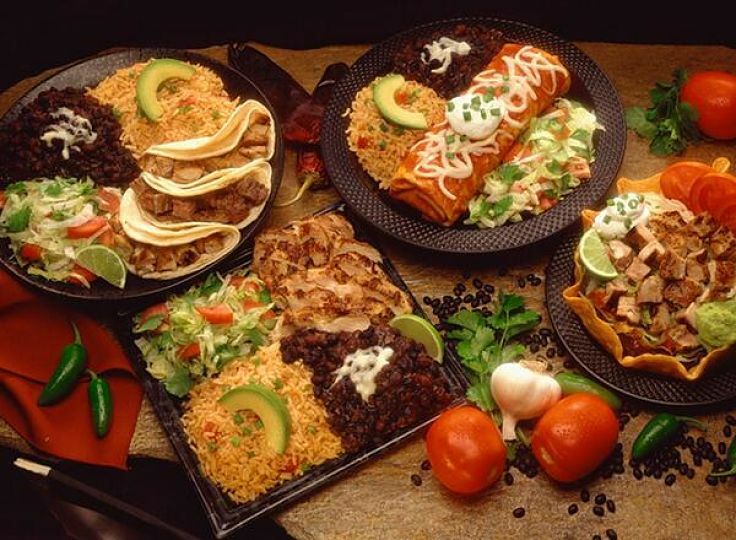 It only makes the food minimally less bad for us and the bad unhealthy choices are still available and popular. The saturated fat and sodium level are still far too high. Reductions in saturated fat, salt and calories for every menu item is what is needed rather than the option for a fresh salad. Healthy choices are not a new trend as various healthy options have been tried over the last 20 years. However the more to healthier meals is relatively new with the National Restaurant Association reporting that about 75% of adults stating when interviewed that they try to eat more healthy meals at restaurants now, compared with two years ago. Healthy eating become the heart of recent marketing strategies, focusing on improving brand transparency and integrity, targeting the correct consumer group, and extensively using of endorsements to build trust. 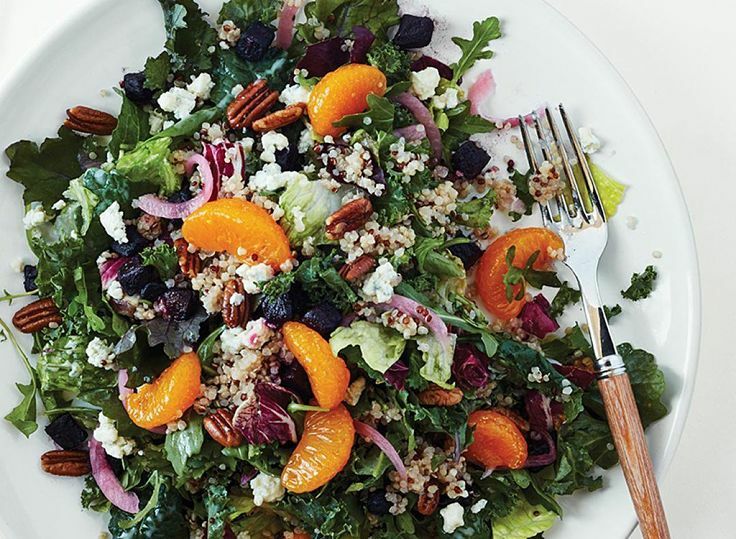 The switch to more salads and vegetables. and to reduce saturated fat and salt is good. However these changes certainly don't warrant a halo to be placed over fast foods as the pariah of good health. Brand transparency is another key strategy shown by McDonald’s that has promote food quality. This was done to counter preconceived perceptions by consumers who think the food was bad for them. Hence the focus on the quality of the ingredients, and the switch to organic and free-range ingredients. Using organic ingredients and adding salad choices does not magically transform burgers into a health food. For example a Hungry Jack’s BBQ Deluxe Country Burger, although made with organic beef still has a high fat content of more than 30g per serve (10g saturated fat) and still contains about 500 calories without the added fries, shake or soda. The McDonalds Rosti Brekkie wrap, which is promoted as a healthy choices has 910mg of sodium, 400 calories, 19g of fat and no fibre. One major problem with fast food is not what is in the food but what is missing and fibre and wholemeal grains are classic examples. There is no fibre in many of the buns. Another problem is deceptive advertising to try to make good healthy claims. The major example is serving size. Food and nutrient listings for Domino’s Meatlovers’ Classic Crust Pizza show that it only has 687 kilojoules and 6.6g fat per serve. The problem is that Domino’s "serving" is mininscule only small 61g, which is only one eight of a pizza. Most people eat a half or a full pizza, not 60 g.
The Fast Food chains hope that by specifically targeting the increasing number of health-conscious consumers, mostly women they can revive sluggish sales figures. 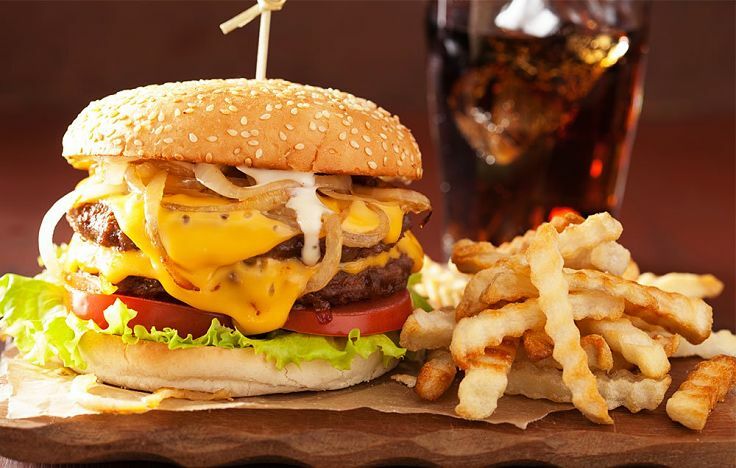 However the chains have not changed their core menu items of burgers and fries. They also have a very strong focus on their traditional customer base of men aged from 18 to 24, who have no health concerns and diet inhibitions. Young men want reliable cheap food that tastes good and that they can get on the go. The strategy is therefore based on offering the same core items - dressed up with healthy add-on such as salads that appeal to women and older people a bit older - the so called "Healthy Options". Fast food companies have admitted adding salads to their offerings because that is 'what people want to see'. But the salads are not "business builders", that is items to expand sales by themselves. They are a included to reduce the "veto vote", persuading calorie-conscious eaters to buy meals when they would be dissuaded without these choices. The marketing is highly targeted at the right people in the right way, with females, children and mothers still being the key targets. Mothers may order a salad for themselves while their children eat the core food items. Expanding the menu to include smaller snack items with lower calorific values may keep the mothers interested. Research has suggested the simple presence of healthy items on fast-food menus had a liberating effect so that they people felt justified in going to these outlets even if they made an unhealthy choice. Another trap is to assume that the healthy choices are indeed healthy. By ordering a salad or a sandwich, you may think you have made a healthy choice. But studies have shown found that less than half the salads at fast food outlets were low in fat. 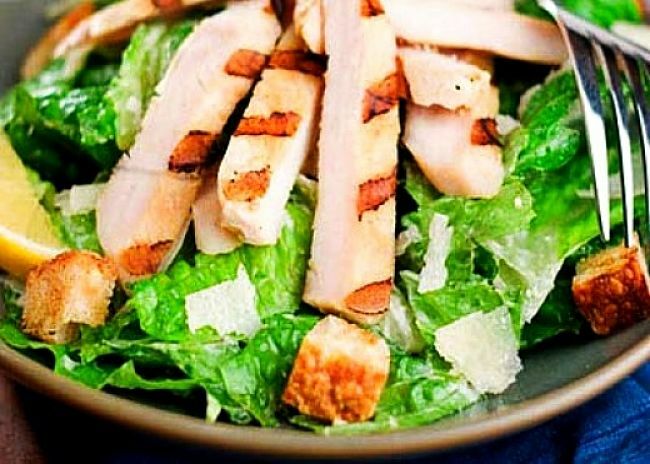 The worst examples were caesar salads, which were stuffed with calories, saturated fat and sodium. Many of the coleslaws offered also contained high levels of sugar. 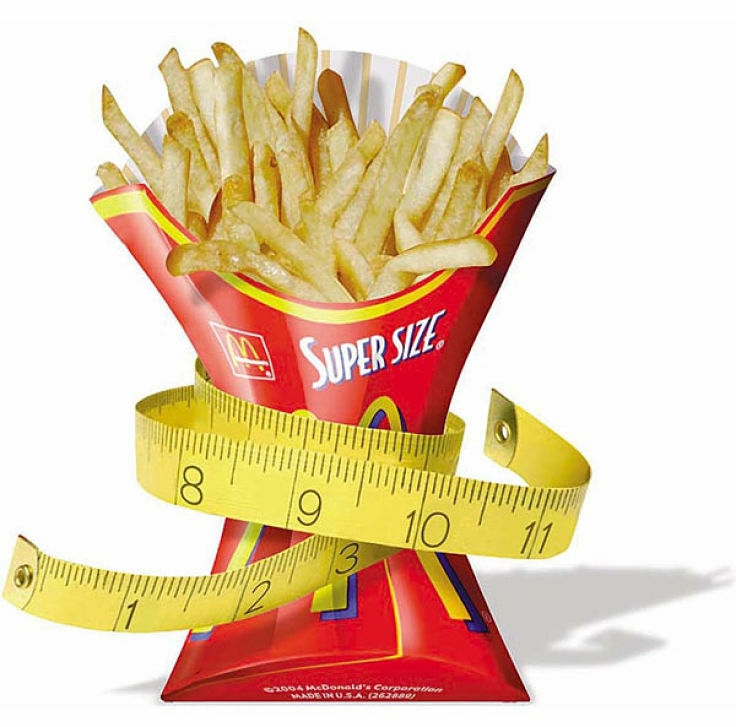 Many of the Fast Food companies are starting to include health advice on their websites and in promotional materials. One example from the KFC Australia website is shown below. It includes examples of how many kilojoules (calories) people can burn off by exercising for 30 minutes. For example using the stairs for 30 minutes - will burn and estimated 930 kilojoules which is 233 calories. However a snack box of KFC Wicked Wings includes 2200 kilojoules (500 calories per serve) and some calculations show that to burn off these calories would require Herculean effort. Use the stairs (930kJ) for 5 hours to burn off the calories. Mow the lawn (690kJ) for 7 hours to burn off the calories. Walk rather than drive for smaller distances (140kJ) for 33 hours to burn off the calories. 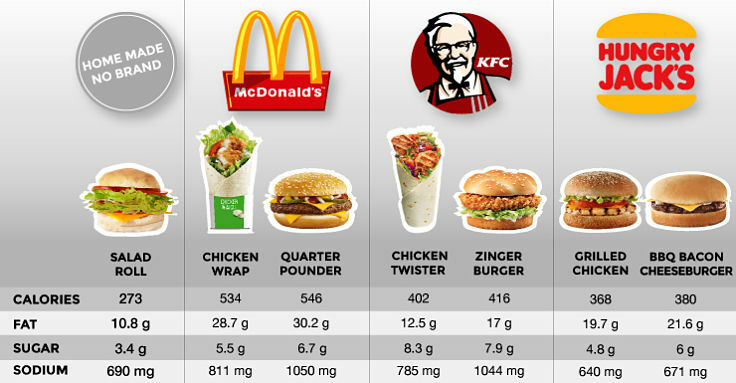 Similar figures for a range of KFC meal choices ranging from 2200 to 300 calories are shown in the table below. 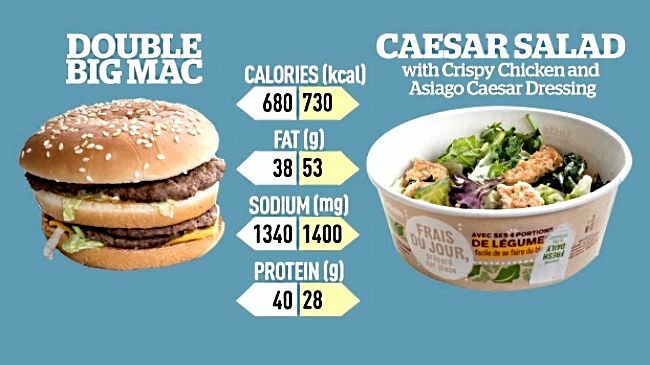 This information stresses the key problem with healthy foods at fast food outlets - the serving sizes are too big and they contain too many calories. Promoting the concept of 'De-Size Me' is a very hard ask for a Fast Food Company. Get A Move On - Get Active! How much you can eat without piling on extra weight very much depends on how much you exercise? If you eat more calories than you use by burning with activity, then you will put on weight. Although, the gym or jogging isn't for everyone, you should make sure you exercise for at least 30 minutes a day. You can easily fit it into your daily routine by breaking it into 2 sessions of 15 minutes or 3 sessions of 10 minutes. Here are some simple things you can do, together with an estimate of how much energy you might use in 30 minutes. Use the stairs (930 kJ; 225 Cal). Mow the lawn (690 kJ; 165 Cal). Walk rather than drive for smaller distances (140 kJ; 35 Cal). Get off the bus or train a stop earlier, to you can walk part of the way (140 kJ; 35 Cal). 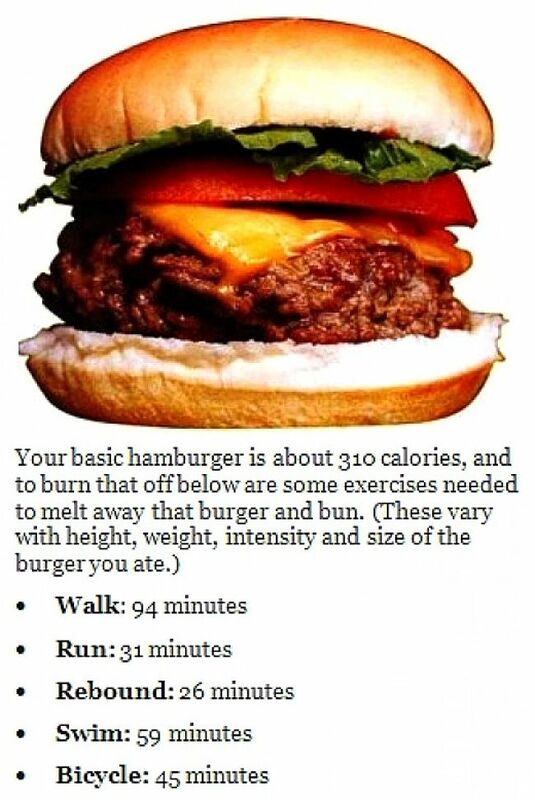 Go for a walk during your lunch break(140 kJ; 35 Cal). Take up a social sport such as touch football or tennis (1080 kJ; 260 Cal).